KOBA Show is definitely a medium where numerous extremely important products and solutions would be exhibited. Several of these tend to be about Lighting, Electrical Engineering, Broadcasting and Audio. 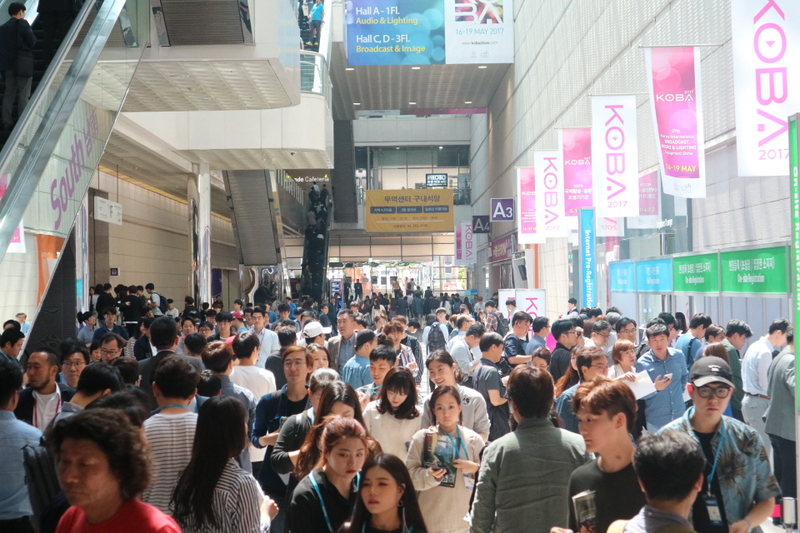 28th Korea International Broadcast,Audio and Lighting Equipment Show 2018 is organized annually. This year more than 41000 of your colleagues from all around the world are coming together in Seoul, South Korea for KOBA Show. KOBA 2019 will be held a total scale of 27,997sqm in COEX Hall A, C, D and be presenting the next generation’s broadcast services and the future of image, sound and lighting industry. In particular, during the KOBA Show, more than 80 international broadcasting technology conferences are hosted by KOBETA (The Korea Broadcasting Engineers & Technicians Association) and through the sound-related technical expert seminar, organized by KASA (Korea Association of Sound Artists) and Acoustical Society of Korea, provide an opportunity to acquire information specialized to the sound and broadcasting system. Other than that, various events are available for visitors also. The global trend “Convergence” creates a dynamic market through the participation of creative consumers and innovative techniques beyond the boundaries of technology, services and industry. KOBA 2019 to be held on this point; provides an opportunity to explore a new concept of broadcasting and modernization of video, audio and lighting industry at a glance. We will do our best to be your best business partner by presenting a blue ocean with a competitiveness and vision to face the flow of rapid change.